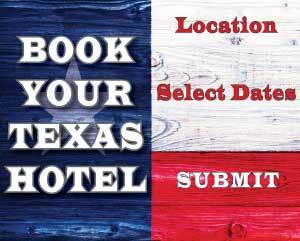 Are you planning your next Texas vacation? 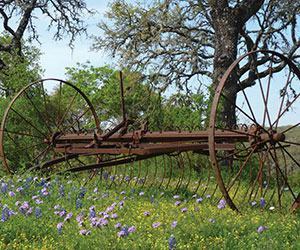 Browse our list of Texas hotels and accommodations in some of the most popular destinations in the Lone Star State. Want to stay at a dude ranch? 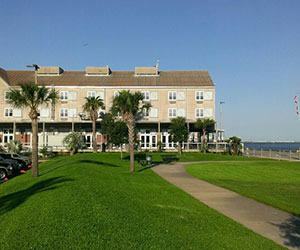 How about a historic beach-side hotel? Maybe a luxurious golf resort? 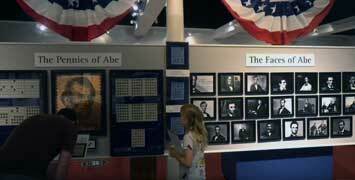 We've got information on all of these and many of the other best places to stay in Texas. 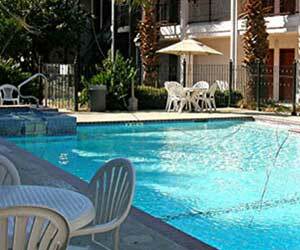 (Alpine) - Book your next West Texas getaway at the Quarter Circle 7 Hotel in Alpine. 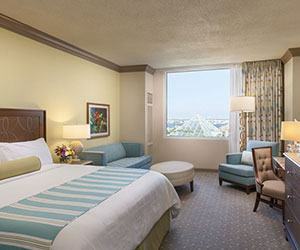 Enjoy comfort, luxury, and plenty of western charm. 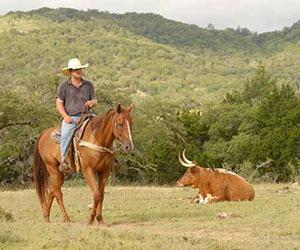 (Bandera) - The Dixie Dude Ranch in Bandera, a Texas dude ranch, offers horseback riding, fantastic dining, stunning Hill Country views, and unforgettable Western vacations. 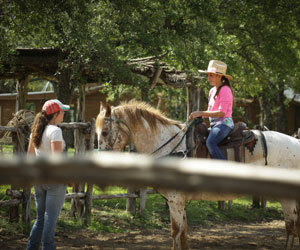 (Bandera) - Learn how to throw a lasso, ride horseback along scenic trails, and experience life as a cowboy at Rancho Cortez, a working dude ranch near Bandera. 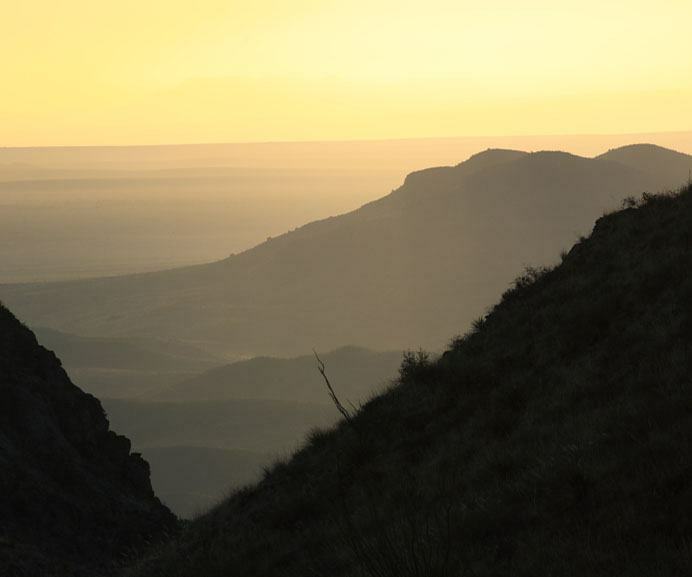 (Bandera) - West 1077 is on a mission to provide guests access to some of the most beautiful, challenging, and matchless trail systems in Texas. 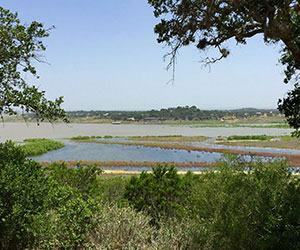 Whether you want to go for a run in the early light of a fresh morning, ride the rugged and challenging mountain bike trails, or just drive the back roads of Texas, the doors are always open for any sport enthusiast who simply wants to get away from it all, but still enjoys staying active. 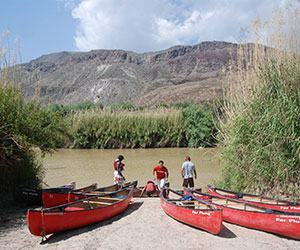 (Basin Rural Station) - Experience Big Bend at Chisos Mountains Lodge, the only place to stay in Big Bend National Park with rustic hotel rooms and campsites and on-site dining. 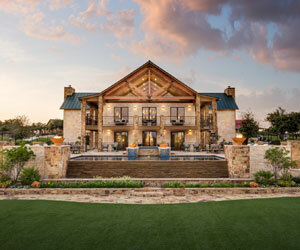 (Burnet) - Canyon of the Eagles is a one-of-a-kind nature-based resort set among a pristine and private 940 acre preserve in of the Texas Hill Country on the eastern shore of Lake Buchanan. 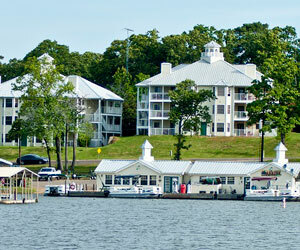 (Canyon Lake) - Spacious villas and family-friendly amenities overlooking scenic Canyon Lake are waiting at Holiday Inn Club Vacations® Hill Country Resort. 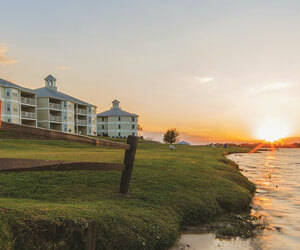 (Conroe) - Spacious villas, fun-filled amenities and Texas-sized excitement are all waiting on the Lake Conroe shore at Holiday Inn Club Vacations® Piney Shores Resort. (Flint) - Guests can enjoy tons of East Texas fun with spacious villas and inviting amenities at Holiday Inn Club Vacations® Villages Resort. (Galveston) - Harbor House Hotel sits on the site of an early Galveston Steamship Terminal and, today, provides a unique vantage point for watching the activity of a working port. 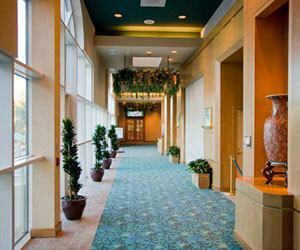 Harbor House is the hotel of choice for cruise ship passengers seeking pre- and post- cruise excursions on the island. 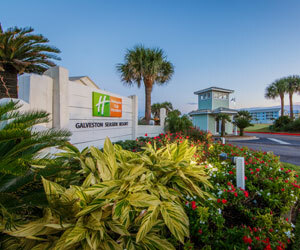 (Galveston) - Unwind on a quiet Galveston beach when you stay at Holiday Inn Club Vacations Galveston Beach Resort, an upscale hotel a few miles south of Galveston. 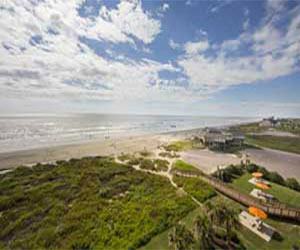 (Galveston) - Holiday Inn Club Vacations Galveston Seaside Resort offers beachfront luxury and everything else you need for an unforgettable vacation in Galveston, Texas. 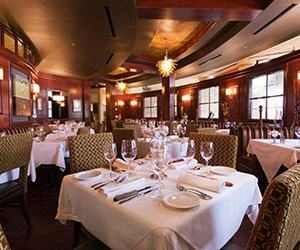 (Galveston) - Stay at the historic Hotel Galvez & Spa in Galveston, a AAA Four-Diamond hotel that offers luxurious accommodations just steps away from sandy beaches. (Galveston) - Spend your vacation at beautiful Moody Gardens Hotel, Spa and Convention Center, a four-diamond, full-service resort in Galveston, Texas. 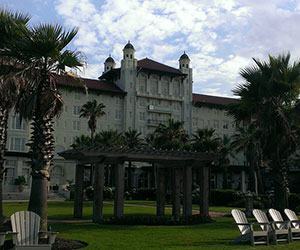 (Galveston) - Enjoy unparalleled luxury at The San Luis Resort, Spa & Conference Center, a Galveston hotel located steps away from the sandy beaches of the Texas Gulf Coast. 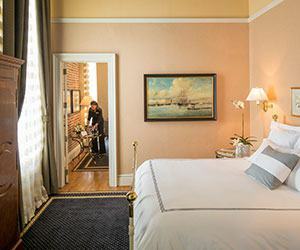 (Galveston) - The Tremont House is a popular Galveston hotel located in the Strand Historic District that combines 19th-century elegance with 20th-century sophistication. 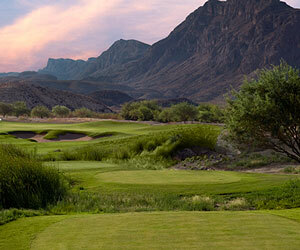 (Lajitas) - Lajitas Golf Resort is a resort in Big Bend offering rugged accommodations, breathtaking natural beauty, world-class golf, and many remarkable things to do. (League City) - South Shore Harbour Resort & Conference Center is a luxury resort in League City that offers stylish rooms, fine dining, and all you need for a memorable stay. (Marfa) - Nestled on more than 30,000 acres of breathtaking beauty, and steeped in history and culture, Cibolo Creek Ranch is everything you would expect from a resort retreat ~ serenity, luxury and adventure. 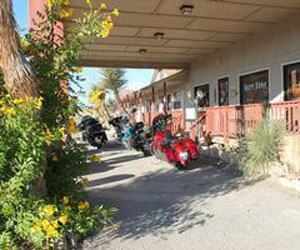 (Matagorda) - Karankawa Village consists of Cattails, a modern-day mercantile store, and The Lodge, a “B&C” (bed and cookies) where visitors can enjoy a night’s stay, nestled in Matagorda, Texas. (Montgomery) - Deer Lake Lodge and Spa is an exclusive health resort that promotes enhanced living through holistic cleansing and other therapeutic practices in a relaxing, secluded environment. 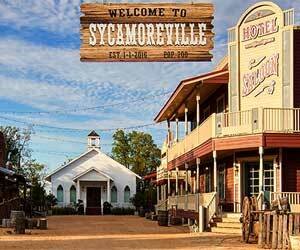 (Pasadena) - Take a step back in time when you arrive at Silver Sycamore. The six acres of lush green gardens, restored homes and family-feel are the reasons why we are Houston’s only Diamond Club Bed & Breakfast. We capture the past and bring it to the present, with flair and tucked away into a quiet neighborhood outside of Houston. 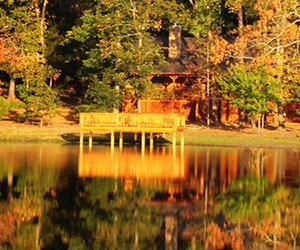 (Scroggins) - The Deer Lake Cabins are beautifully designed, luxurious rental cabins and lake front homes, built to host families and groups of all sizes. 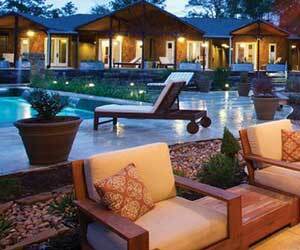 Each of the cabins are intricately cared for, fully furnished, beautifully decorated. 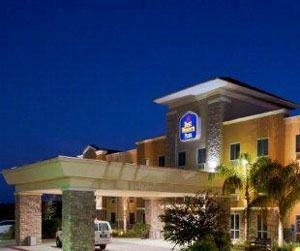 (Seabrook) - Enjoy all the comforts of home just minutes away from Space Center Houston, Kemah Boardwalk, and Houston's other top attractions at Best Western Plus Seabrook. 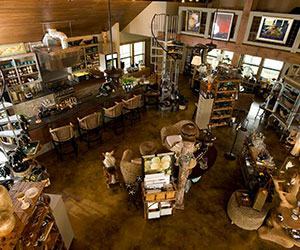 (Sonora) - Stay at The JL Bar Ranch & Resort in Sonora, a luxury resort and premier trophy hunting destination in Texas offering high-end stays and remarkable activities. 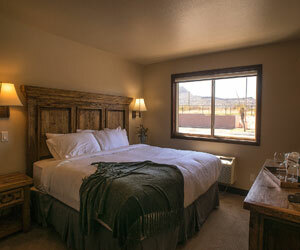 (Terlingua) - Experience the best of the Wild West when you stay at Big Bend Resort & Adventures in Terlingua, a roadside hotel offering comfortable accommodations and tours.